What can YOU do on 23rd April = Aids Critics Day? 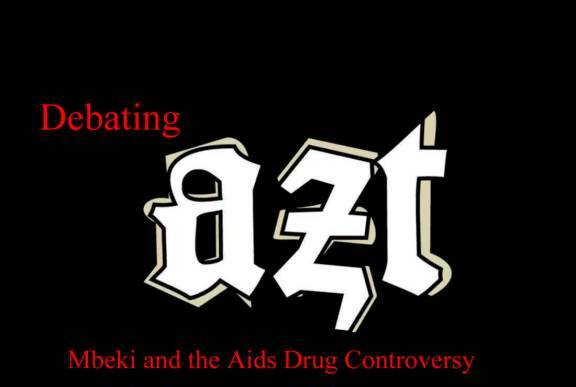 This is a call for action to all the people ( aids-critics, aids-dissidents, haart-survivers ) who are genuinely fighting for a truthfull and scientifically valid explaination about "HIV" and "AIDS"
This is why we want to awaken people to the fact, that there is an AIDS CONTROVERSY going on since the 23rd April 1984, but the general public has only been told one side of the story. Aids is a question of “free speech” and democratic flow of information, as much as a medical issue. To improve the communication among aids-critical individuals and organisations, it will help if in the subject line, either “23 April = CRITICAL AID$ DAY” or “23 April 1984” or at least “23rd April” is included so that other people who are reading through the topics of a given message board, will know what is being discussed. It is out of this understanding... that we want to develop a global "Critical Aids Day" on every 23rd April which can serve as a TIME-FOCUS and ACTION DAY for all the critical people, doctors, dissident action groups and concerned health-care organisations. MEDITATE in your own way, and call upon the POWERS of TELEPATHY, so that your thoughts support the feeling of "GLOBAL JOINT ACTION" in search for TRUTH. A brief meditation may also help you to concentrate on the message(s) you want to send out. POST some MESSAGES on INTERNET FORUMS... to start a discussion about the validity of "HIV causes AID$ ?" Prepare yourself, that you may get “flamed” when posting on online discussion boards, since many people are very irritated at first, when the “HIV causes AID$” hypothesis is questioned. But out of these discussions, a broader awareness is generated, that there are different scientific opinions about aids. PICK UP THE PHONE and call your friends and ask them: " HEY, did you know, that on 23rd April 1984, a press conference took place in Washington, where the theory of "HIV causes AID$ ?" was proclaimed to the world, before that theory was discussed among other scientists?" or ... "Did you know up until today, the existence of HIV has never been proven?" You are a DJ and running a MUSIC-SHOW on the 22nd / 23rd / 24th April? Use your soundsystem to make a brief announcement to the musiclovers & ravers, that HIV HAS NOT BEEN PROVEN !!! The IDEA to create a JOINT ACTION DAY on every 23rd April is new and like any new idea... it may work and it my not, depending on the number of people who actually get actively involved. To achieve maximum impact, here are some thoughts about the timing of events. It will show, how many people are actually putting some time and effort in... we´ll see, but considering that the whole dissident movement is very fragmented, we can only gain ground. The 2 Day Seminar in Peru >> EL SIDA SI SE CURA with Dr. Roberto Giraldo being the main scientific event on this 23rd April 2005. Ask yourself, why havn´t we got similar events in the USA, Canada, Europe, Africa or Asia? Why is there no sponsorship for an issue which effects the lifes of millions of people? How come, that many people look at you in disbelief, if you only start questioning the "hiv causes aids" theory? Why is it that one gets flamed on forums, if some critical comments about AZT are posted? So voice your opinion on internet forums and otherwise...Use your own imagination and creativity!! Plan seminars or other events for the 23rd April 2006.
on 23rd April 1984, Dr. Robert Gallo held the questinoable press-conference in Washington, where he declared, that he had "probably" found HIV and that “HIV causes AIDS”. Ever since that day, “the world has aids” as we are all told by the media. The main point is, to create a **time-focus** for the critical/alternative views on HIV-AIDS as opposed to the official "world aids day" held on the 1st of December. Dr. Robert Gallo declared on the 23rd april 1984, that he had discovered a retrovirus (hiv) the “probable” cause for aids. Ever since the 23rd april 1984... many doctors, scientists and politicians as well the mass media has told the world that "hiv causes aids"
But do you know, that right from the beginning, there were strong scientific questions coming up, as to whether or not this therory is right? Do you know, that up until today, hiv has never been isolated and/or photographed ? Do you know, that the so called "cocktails" are highly toxic substances and that some scientists claim, that people are dying of toxic meditation and not of a virus ? Do you know, that there are more and more people diagnosed hiv+ who refuse to take toxic cocktails and resort to natural and alternative medication ? Perhaps some of these aspects may be shocking too you, if you have never looked into the "hiv causes aids" theory from a critical point of view. But enter i.e. 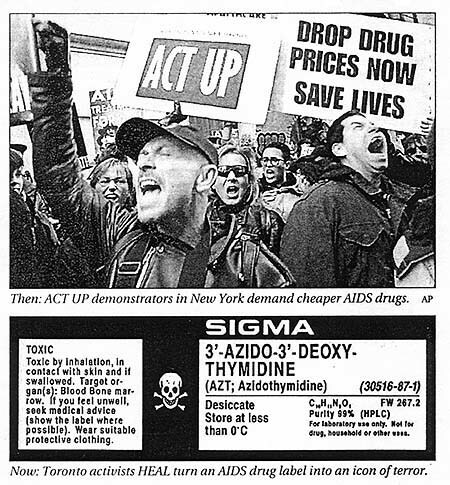 "aids controversy" "aids critics" or "aids dissidents" into a searchengine and you´ll be surprised, that thre are a few hundred websites where you can read about the aids controversy. I don´t want to go into the more detailed scientific questions here, but one main question remains ? "WHY IS THE GENERAL PUBLIC ONLY TOLD ONE SIDE OF THE SCIENTIFIC DEBATE ?" Is there a single scientific topic which isn´t been discussed among the specialist ? Isn´t the difference between religion and science, that religion wants you to believe something while with science every aspect needs questioning and discussing ? Please publish something about the scientific controversy about "hiv causes aids"
The 23rd april is "critical aids day" to encourage doctors, social workers, politicians to stand up and speak out, that there are many open questions about hiv / aids. Please help breaking down the "iron wall of silence" surrounding the truth about hiv / aids. If you are a student: Organize some kind of action on your campus (i.e. sit ins, teach ins, open question forums, etc) to bring the discussion about the validity of "hiv causes aids" onto the front page of every mainstream publication. You are styding medicine, biology, bio-physics, legal matters, politics, journalism or related topics? Well my friend, it is perhaps time you started to question your professor as to what he/she thinks about the fact that Dr. Robert Gallo declared on the 23rd april 1984, that he has discovered a retrovirus (hiv) the probable cause for aids. Ever since the 23rd april 1984, mass media has told the world that "hiv causes aids"
But do you know, that right from the beginning, there was strong scientific questions coming up, as to whether or not this therory is right? Organize some kind of action on your campus (i.e. Sit ins, teach ins, open question forums, etc) to bring the discussion about the validity of "hiv causes aids" onto the front page of every mainstream publication. By signing the statement below one becomes a member of The Group for the Scientific Reappraisal of the HIV-AIDS Hypothesis. Sofar 1975 people have signed this list online. This list is an addition to the first list (1991-1994). In science, no theory should be immune from challenge, and debate over an issue affecting millions of lives should never be declared over. I support South African President Thabo Mbeki's intention to investigate the definition, causation, treatment and prevention of "AIDS".